Cargo (film, 2017). A 2017 Australian post-apocalyptic drama thriller film by Netflix. Directed by Ben Howling, Yolanda Ramke. Official Trailer. Cargo is a 2017 Australian post-apocalyptic drama thriller film directed by Ben Howling and Yolanda Ramke. 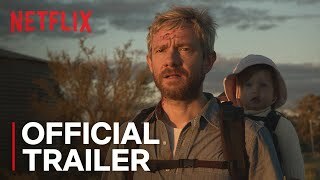 Cargo | Official Trailer | Netflix. In a world overtaken by a virus that turns people into zombies within 48 hours, the Rose family - Andy, Kay, and their baby Rosie - are living safely on a houseboat in rural Australia. Short on food, Andy investigates an abandoned sailboat and retrieves various supplies. Later, Kay goes to collect more, but is attacked by a zombie inside. Meanwhile, an Aboriginal girl, Thoomi, attempts to protect her infected father by feeding him wildlife and keeping him locked up while her tribe eliminate the undead. In doing so, she distances herself from her mother, who is frantically searching for her. Andy discovers Kay in the bathroom of the houseboat, trying to stop the bleeding from a bite on her knee. They set out to find a hospital, but crash after evading a man in the middle of the road. Kay is impaled and Andy faints from shock; he wakes hours later and is bitten by a turned Kay as he gets Rosie out of the car. Andy prepares to defend himself against the man, noticing he is a zombie. Thoomi appears and dissuades Andy from hurting her father. Andy arrives at a school and meets Etta, a teacher. He considers giving her Rosie, but she advises him to continue his journey. Andy later finds a truck and attempts to hijack it, but is stopped by its trapped owner, Vic. Andy frees him and they escape to Vic's shelter where Andy meets Lorraine, who he assumes is Vic's wife. He leaves Rosie with Lorraine and leaves with Vic, where they shoot groups of zombies and collect their valuables. Vic attracts the zombies by imprisoning healthy humans inside cages as bait; Andy is perturbed to see Thoomi trapped. 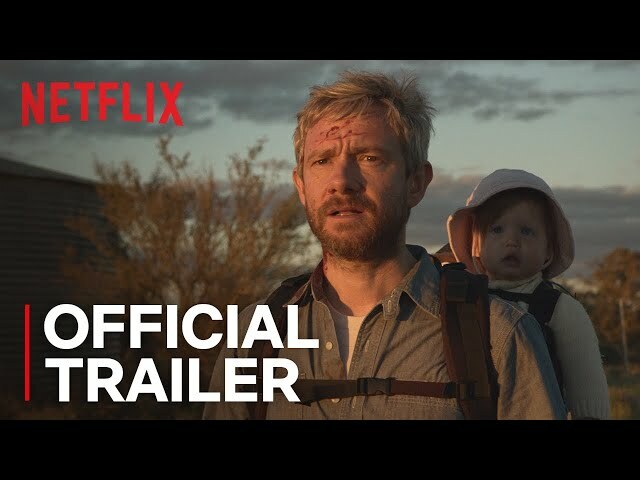 The film Cargo was scheduled to be released by Netflix on October 6, 2017 (ADLFF) and on May 18, 2018 (Worldwide). Cargo got high rating from critics. The audience also likes the film.